There is freedom from the torment of the enemy! Best-selling author and trusted teacher on deliverance, John Eckhardt reveals strongholds that can be broken including poverty, sickness, witchcraft, sexual impurity, pride, fear, confusion, and marital problems. 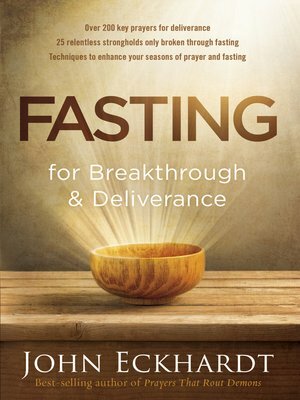 Fasting will help readers to overcome these manifestations of oppression and break free from their limitations.